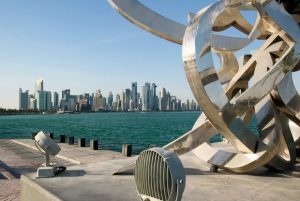 Qatar has called on Saudi Arabia to provide details on the whereabouts of four Qataris who the National Human Rights Committee (NHRC) believes went missing in the kingdom last year. “What the Saudi authorities are doing towards Qatari nationals is shameful and inhumane. It will leave a major psychological mark on future generations,” NHRC chairman Ali bin Samikh al-Marri was quoted as saying by Al Jazeera. Since early June last year, Saudi Arabia and allies namely United Arab Emirates (UAE), Bahrain and Egypt broke up with Qatar over claims that the tiny Gulf gas rich country sponsors terrorism. The boycotting countries have also imposed a sea/air/ground blockade. Qatari citizens now need a visa to travel to those countries. Families have been broken, students’ schooling in these countries has been disrupted as result of the blockade and the diplomatic row. Al-Marri, on Sunday called on the United Nations’ Working Group on Enforced or Involuntary Disappearances to send a team of investigators to Saudi Arabia, reports say. Written by: KanelkaTagba on October 16, 2018. Posted by KanelkaTagba on Oct 16 2018. Filed under Gulf News, Headlines. You can follow any responses to this entry through the RSS 2.0. Both comments and pings are currently closed.